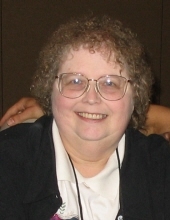 Marilyn “Merry” Merle (Jackson) Cutler, age 70, of Foxboro passed away peacefully on Tuesday, Novemer 6, 2018. She was born on April 27, 1948 to Merle and Jennie (Pring) Jackson. Originally from Pennsylvania, she moved to Massachusetts in her teens and graduated from Weymouth High School in 1966. She was a Bryant and Stratton Secretarial School graduate. She is survived by her husband, Paul A. Cutler, Jr and son, Paul Cutler III, and daughter, Melissa and her husband Jeffrey Campbell. Loving grandmother to Aiden and Owen Campbell. And like a sister to Lydia (Pring) Main and her husband Norman. Marilyn met her husband, Paul, while square dancing and together spent years on the Board of Directors of the Sidesplitters Square Dance Club of North Attleboro. She was the proprietor of Annie’s Book Stop in Sharon for 25 years where her love of reading and showcasing local authors earned her the Romantic Times Bookseller of the Year in 2008. To honor her love of books, the family gratefully asks that in lieu of flowers donations be made to the Boyden Public Library, 2 Bird St., Foxboro, MA 02035, c/o Merry Cutler. Relatives and friends are kindly invited to attend calling hours on Sunday, November 12, 2018 from 1 to 4 PM at the Roberts and Sons Funeral Home, 30 South St. in Foxborough. A funeral service will be held on Monday at 11 AM at the funeral home. To leave an online condolence please visit the funeral home web site at www.robertsandsonsfuneralhome.com. For additional information please call 508-543-5471. "Email Address" would like to share the life celebration of Marilyn M. Cutler. Click on the "link" to go to share a favorite memory or leave a condolence message for the family.